1. Create gobs of intellectual property. Be ubiquitous. Publish, speak, blog, utilize social media, and produce videos. 2. Talk to not only your desired prospective clients, but to those people that can refer you to them. You can most easily get in front of person that can use your services when they are referred to you. 3. Be consistent in the distribution of your intellectual property. Blog regularly; send newsletters consistently; network with the right people all the time so they know your name. It’s really just like one of my favorite shows from the 1980s, Cheers…where everybody knows your name. Who knows your name? What to do they think of you when you’re not in the room? Are you clear and concise on your value? Are you “tight” on your publishing and speaking? If you want to watch the 60-minute broadcast for free, all you have to do is register. You will be subscribed to the next 2 broadcasts as well. Click here to register and get the recording, so you can hear everything we talked about! 2 hours to go before the debut of Betsy & Dan Sound Off. This unique live broadcast will help all consultants, speakers, coaches and entrepreneurs to maximize the power of their brand to boost business and and value to others. This is a free event and you get the recording, but you must register. We have about 30 people raring to go…are you going to be one of them? Don’t just take my word for it. Listen to Million Dollar Consulting author and preeminent thought leader for consulting, Alan Weiss. Alan trained both if us to help you go farther in your career. Join us today by registering right now. You don’t have to be there live because you will get the recording, but if you can, we want you there to interact with us. Your registration is for the entire 3-briadcast series. Register now. You will be glad you did. While attending a conference over the weekend, I was part of a conversation between a small number of people regarding the perspicacity of today’s “younger generation.” The culprit, according to a few, was the decay in our public education system, and the lack of desire of the average person. They used some of the “man on the street” skits on television where people are asked questions that we all “think” should be common knowledge, generally around history and politics. Here’s the problem with that kind of thinking. We are all influenced by those things around us – where we were born, where we grew up, education level of parents, availability of parents, friends, and a thousand other things. Making generalities around being “informed” and pointing it at just a couple of factors is short-sighted and ignores the diversity of our world. To add to it, the thinking that the time we grew up in is infinitely better than today and that the world is going down the drain is also astigmatic. Billy Joel in “Keeping the Faith” sang that, “the good old days weren’t always that good, and tomorrow ain’t as bad as it seems…” If memory serves, the good old days were filled with segregation, bullying, discrimination, and wars (5 “declared” just in this country). Here’s what you need to do to seek out both significance and success. Avoid living in the past and be ever present. Learn from experience and apply the best of what you do to your life – both professionally and personally. Don’t allow yourself to get caught in a myopic mindset that demands that your generation, your family, and your country are impeccable and everyone else should do it your way. Instead, acknowledge that we live in a world that is constantly in flux and changing, and that you have the ability to help that change be a positive one for you and many others. Alan Weiss Endorsement for Betsy & Dan Sound Off! Posted on April 23, 2015 CategoriesConsulting Strategies, Professional DevelopmentTagsAlan Weiss, Betsy and Dan, Betsy Jordyn, branding, Business, consulting, Dan Weedin, You TubeLeave a comment on Alan Weiss Endorsement for Betsy & Dan Sound Off! Alan Weiss endorses Betsy and Dan: Sound Off! It’s just 1 week away. Registrations are piling in. If you’re not one of them, what are you waiting for? Take Alan’s advice and join us. You will be glad you did! Join Master Mentors Betsy Jordyn and Dan Weedin to help you find success and significance in your consulting practice. This digital experience is free and will help you to quickly find solutions to your most important questions and issues for your business. This is a 3-part video broadcast that is offered for free and will also be recorded for your future use. The only thing you have to do is register. All broadcasts start at 9:00 am Pacific / 3:00 pm Eastern. Registrants will be emailed the recording. You can watch Betsy and Dan discuss and debate topics that are important to you and your career, ask questions that they will respond to, and walk away with valuable tools, techniques, and best practices that you can implement immediately. What is a brand in general and why companies brand themselves? Why consultants should brand themselves? What are the critical success factors of a strong consultant brand? How you know it is working? Why the consultant themselves are the core of the brand? How do discover your unique brand? How to describe your brand to others in a way that helps them either know if they are a prospect OR know someone who is? How do differentiate the value you create in comparison to other consultants? How to use your brand to address the real competitive threat to consultants, which is the client doing the work themselves! Register for all three events – CLICK HERE. What do you have to lose? This free series will help all consultants, coaches, speakers, and writers to maximize their talents and offer tremendous value to their clients. By doing that, your business will grow exponentially. Betsy and Dan are Master Mentors in the global consulting community of Alan Weiss. Alan is the “Rock Star of Consulting” and the preeminent authority on solo practitioner consulting. Alan has personally trained Betsy and Dan to help consultants like you reach your maximum potential and value to clients. Throughout her career, growth-oriented senior leaders and entrepreneurs have considered Betsy the ultimate think partner – she is known for her ability to draw out the hidden potential in leaders and organizations and catalyze strengths for maximum performance. Betsy’s expertise in leadership, strategy, organization redesign, inter-departmental coordination, and executive team development has helped numerous organizations create environments where there is alignment between desired and actualized results. 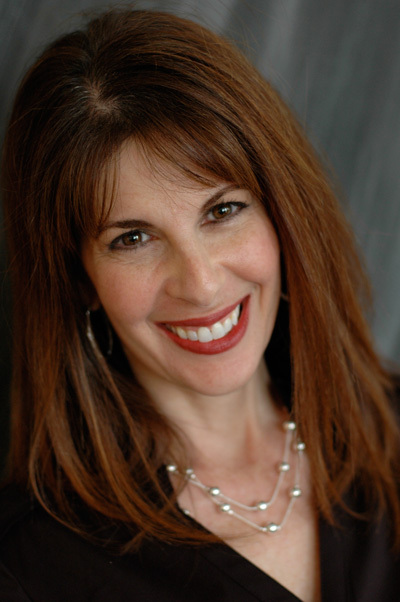 Betsy founded Accelera Consulting Group in 2006 after working as an internal consultant for Walt Disney World. In that role, Betsy was instrumental in the success of significant business growth projects, such as a total redefinition the guest/cast experience worldwide and a refocus of Disney Animal Kingdom towards becoming a more traditional Disney theme park and “not a zoo.” The experience and wisdom she gained from initiating and managing change in such a large and diverse organization with multiple business units and objectives ensures that Betsy’s recommendations are tailored, focused, practical, and implementable. As an independent consultant, Betsy has helped accelerate results of numerous organizations in a variety of industries including nonprofits, local government, manufacturing, supply chain and publishing. As a coach and mentor, Betsy has improved the effectiveness and personal satisfaction of dozens of some of the most amazing leaders and entrepreneurs. Dan founded Toro Consulting, Inc. in 2005 to help organizations dramatically improve resiliency and business continuation, while maximizing their ability to grow and thrive. Since 2010, he has been a Master Mentor for Alan Weiss and has helped countless business leaders and professionals to grow their skills, boost their revenue, and improve life balance. Dan has the unique ability to translate his success in the insurance industry, public speaking, non-profit world, and athletic coaching into applicable and transferable principles that dramatically improve the effectiveness of those he consults, teaches, and mentors. He is a 2009 graduate of the Million Dollar Consulting College™. Dan has authored one book for insurance professionals titled, Insuring Success (Global Professional Publishing 2014). 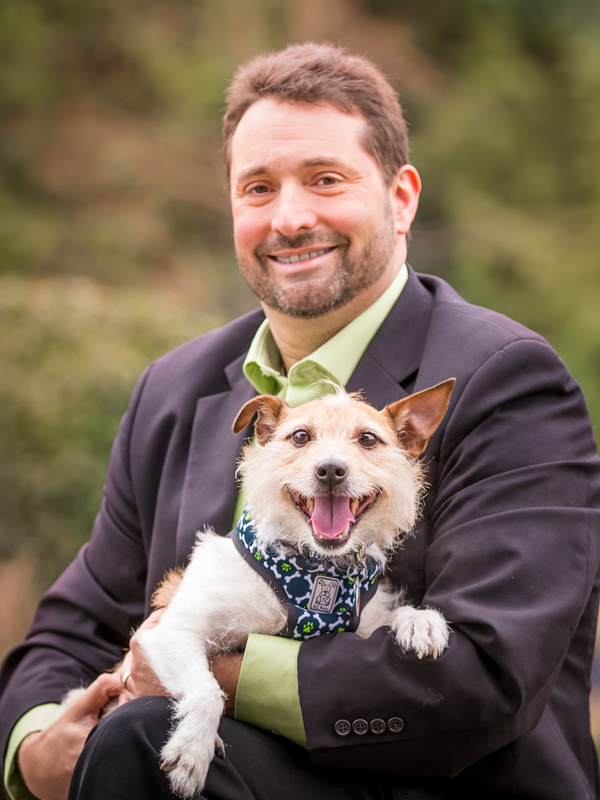 His next book, Unleashed Leadership (Kitsap Publishing 2015) is set to be released in September. He is a 2012 inductee into the Million Dollar Consulting™ Hall of Fame. I was in Washington D.C. last week for a conference of consulting colleagues. As a history geek, I spent one morning prior to the conference taking a walk on a beautiful morning to see the White House and other sites. In addition, the cherry blossoms were in full bloom and there only for a short time, so I wanted to make sure I saw them. My colleague Noah joined me and as we were at the White House, I noticed the flags were at half staff. Upon asking why, I was reminded that this particular day, April 15th, was the 150th anniversary of President Abraham Lincoln’s assassination. We decided to go to the Lincoln Memorial on this special day. It’s a bit of a hike past the cherry blossoms, the Washington Monument, and the reflection pool to get up the steps of this national treasure. It was worth it. There was a gorgeous sunrise peeking up over the Washington Monument and I snapped it a picture and text it to my wife and daughters. Noah and I felt honored to have been here on this unique day. But there was more. At the airport later in the week, I read one of the articles written 150 years ago about the assassination and Lincoln’s death. At the conclusion of the article, the writer noted the time of death at 7:22 am (he was shot the evening of April 14th, and succumbed the next morning). I quickly checked the time of my text to and realized we had been there EXACTLY at the Lincoln Memorial on the time he passed 150 years prior! Serendipity. While this seems like a small bit of luck that has nothing to do with anything but irony and fortune, I tend to view it differently. That bit of serendipity required many decisions that made it possible – from the decision to go sight seeing, to altering the plans to walk farther than planned, to turning around to take in a sunrise and send it on to my family. Like that old saying goes, you make your own luck. The decisions you make today will create opportunities for similar serendipity in your life. Don’t just chalk it up to being in the right place in the right time. Your mindset must be that you control your own fate and making bold decisions will ultimately lead you to rewards that others will surmise as lucky. However, you will know better, won’t you? You’re familiar with that old axiom of April showers bringing may flowers. I can say that at least here in my area, we’ve not yet seen too many showers yet, but I know they are coming! Rain brings life. I often have to catch myself mid-grumble about the rain and try to remember that it’s essential for new growth. All the beautiful flowers and vegetation that I enjoy in the summer is because of that necessary precipitation earlier. Of note, I’m not just referring to revenue. I am more focusing on your activities and behaviors to improve yourself personally and professionally. This means your health, your fitness, your discretionary time, and your volunteer activities, to name a few. If you’ve lagged on asking for referrals, creating new products and services, or taking time to strategize and implement initiatives and projects, then this will be the time to begin raining so you can bloom by summer. Bottom line – nothing grows without “rain.” That includes you. If you don’t want to be in the same position in 3 months as you are today, then do something about it starting now. Those that don’t do anything become stagnant just complain about it and decline. Those that do commit to active rainmaking get to enjoy their just rewards and bask in their gardens. NO Weedin Unleashed this week due to my business travel. We will return with another live episode next week! 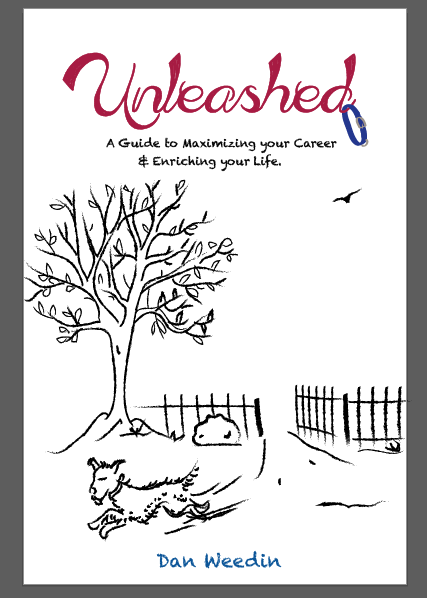 Here is the latest review of Unleashed on Amazon. Do you have your copy yet? If you’d like a signed copy, purchase it from me here and in the comments ask me to send you a signed copy!